Funeral Services Held For Trooper Killed In Crash | Schuler, Halvorson, Weisser, Zoeller & Overbeck P.A. 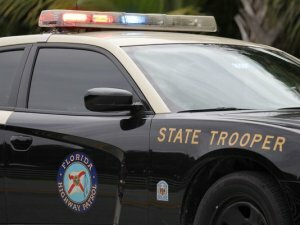 A 36-year old Trooper was killed when his vehicle was rear-ended by a box truck as he waited to make a turn into a trooper station in Broward County. His vehicle was then pushed into the path of an oncoming pickup truck. The 36-year old was declared dead at the Broward County general hospital, Florida Highway Patrol said. His death is considered an on-duty death, state police officials said. The 36-year old, a six-year State Police veteran, worked eight years as a correction officer for Broward Police Department before joining the Florida Highway Patrol. A native of neighboring Indian River County, he lived in St. Lucie County with his wife and their 6-year-old daughter. A Broward Police Superintendent told mourners, who filled Lighthouse Paint Church in the County, that it was evident at an early age that the 36-year old wanted to serve in uniform. During his remarks the Superintendent announced the 36-year old was posthumously promoted to Sergeant because he was in line for a promotion at the time of his death. The cause of the crash still remains under investigation.